He was replying to comments on Fiji Village by interim Attorney General Aiyaz Khaiyum that Mr Chaudhry’s comments regarding VAT were “misguided”. And that political parties like FLP were using “the issue as a political point scoring exercise”. Similar concerns on the devastating effect of the VAT increase on the poor have been expressed by Father Kevin Barr and Premila Kumar, CEO Consumer Council of Fiji: Neither of the two are political, they have no axe to grind. How does Khaiyum brush off their criticism? 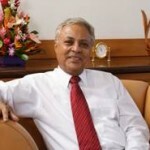 2. that Mr Chaudhry is misguided in saying that the poor were being made to pay the price for indiscriminate government borrowings: This is a fact and something that the acting Finance Minister Khaiyum had himself acknowledged in his 2011 Budget address: “The increase in VAT will ensure that Fiji is able to sustain its debt repayments now and in the future”. 3. that the increases are a result of the ‘fundamentals of the economy and financial systems being put right’. 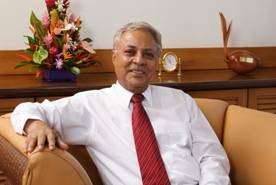 “It is quite clear that these fundamentals are being fixed at the expense of the poor in Fiji,” Mr. Chaudhry said. 4. that people should not forget the 9% reduction in the prices of many food items through the Commerce Commission’s price determination: The 9% reduction in food prices by the Commerce Commission two weeks earlier had been a “gimmick” to try and soften the blow of raising VAT to15%.